Who says all chili's have to be red? 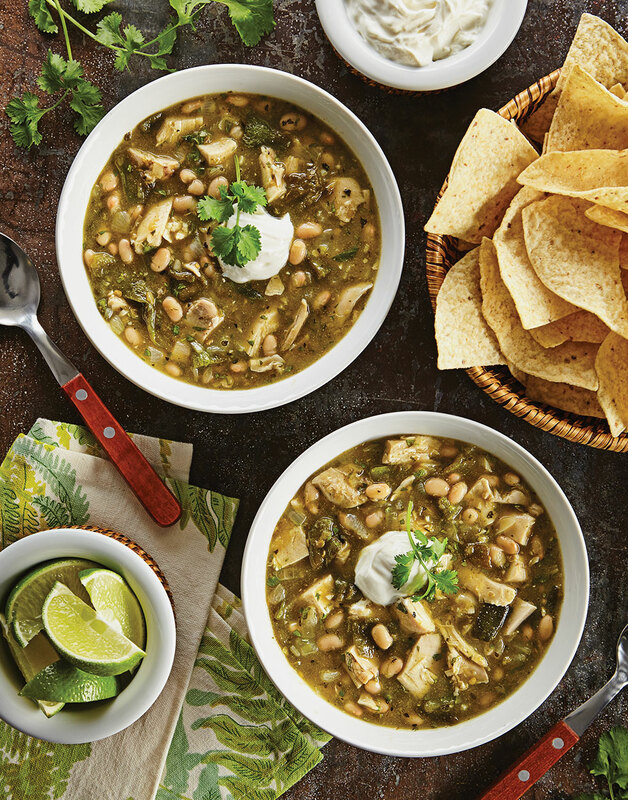 Give this quick-and-easy Green Turkey Chili a try with your leftover turkey. Char chiles over a gas flame or under a broiler until blackened on all sides; transfer to a bowl and cover with plastic wrap. When cool enough to handle, peel, seed, and dice chiles. Heat oil in a pot over medium. Stir in onions, garlic, and jalapeño; sweat, partially covered, until softened, about 5 minutes. Add cumin and oregano; cook until fragrant, 1–2 minutes. Stir in salsa and broth; simmer 5 minutes. Stir in turkey, beans, ¼ cup cilantro, lime juice, and chiles until heated through; season chili with salt. Top servings with sour cream and cilantro; serve with lime wedges.